Counterpart has been canceled by Starz after two seasons. The announcement comes in advance of the season two finale, which arrives on the premium cable network Sunday night. If Counterpart is not picked up by another platform, it will serve as the series finale, as well. The news broke when creator Justin Marks took to Twitter on Monday to thank the fans, cast and crew for their work and support. “It’s been an absolute dream for this team … we got to make EXACTLY the show we wanted to … perfect cast, perfect crew on 2 continents … and we’re so grateful to our network for the time we had … ,” Marks said. 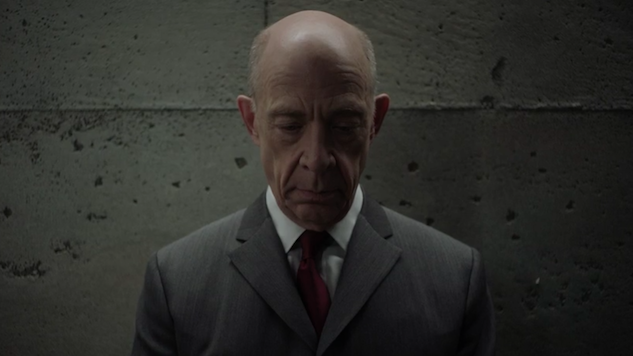 Counterpart stars J.K. Simmons as Howard Silk, a low-level operative at a United Nations spy agency who discovers that his organization is hiding a secret gateway to an alternate dimension. Paste ranked Counterpart among 2018’s best new shows late last year, shortly before its season two debut. The Media Rights Capital-produced series was picked up for two seasons right from the beginning, but its expensive cast and inability to expand beyond a small core audience have made it untenable for Starz to continue. The cancellation also comes during a transitional period for Starz, which was recently purchased by Lionsgate and has focused primarily on Lionsgate-produced content ever since.